When you think of the National Park Service, you rarely think of a beach. Yellow Stone, Yosemite, and the Grand Canyon come to mind. Yet, I grew up visiting a National Seashore – Sailor´s Haven, Fire Island. It is part of the National Park Service, but not a ‘Park.’ Semantics? Maybe, but I did find a beach as part of a National Park in the Florida Keys. Part of Florida’s Everglades National Park, in the Upper Florida Keys, a Key or an island paradise exists for any visitor to stop by. All you need to do is arrive by boat, and the National Park Service asks you leave nothing behind but footprints. 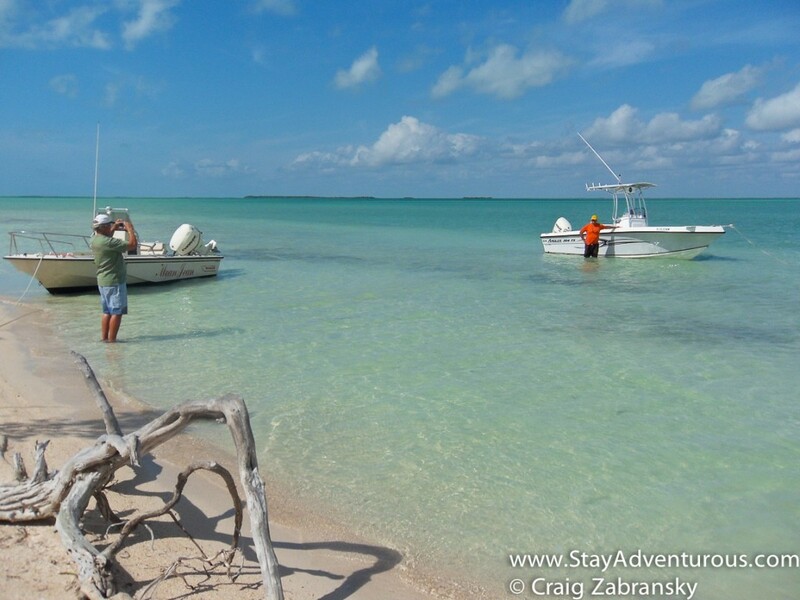 Most times, when I visit the Florida Keys boarding a boat means fishing. But the family oriented community I visit (and perhaps overstay my welcome) Ocean Cove, prepared a day excursion last year. 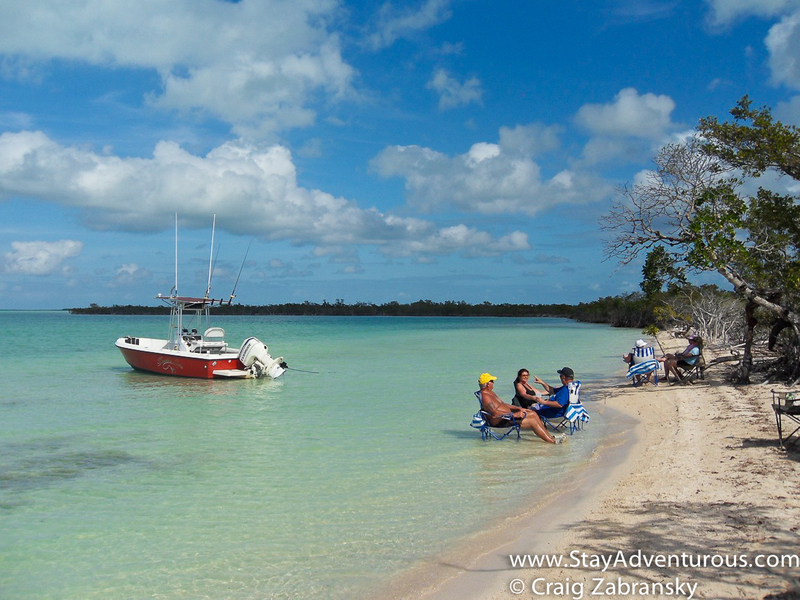 A convoy of five boats navigated to this special, secluded key, the North Nest Key. The journey, a good 40 minute ride on the water from Tavernier, allows you to truly take in the crystal clear blue waters and back-country of the keys. Beautiful. And when you arrive you drop anchor then wade to shore with supplies. It´s an American paradise. We set up a beach side barbecue, opened some wine, and enjoyed a wonderful afternoon. It’s special moments like these that encourage me donate to support our National Park Service. Yes, I want to conserve places just like this gem and ensure it exists for our future generations. relaxing beach side... not a bad day at all. 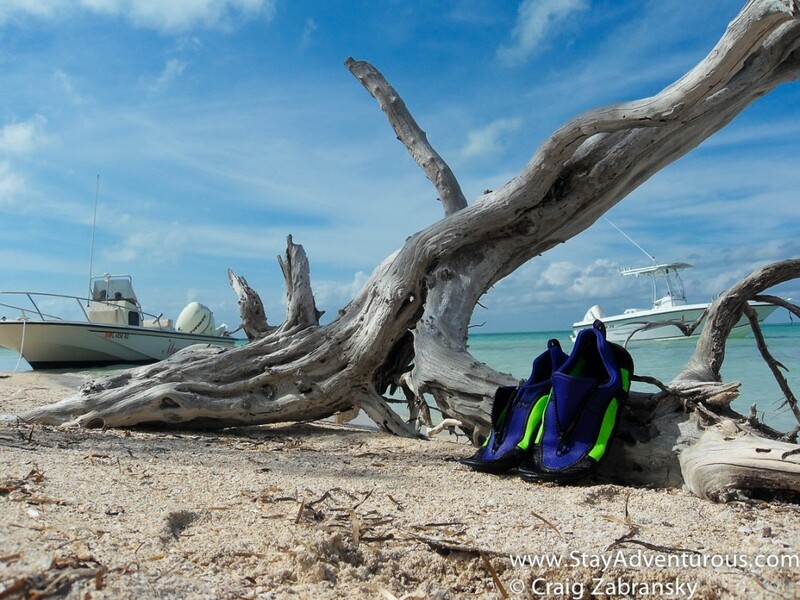 This is post 8 of 13 in the Winter Series – Beach Thursday, a Special Series on Stay Adventurous. Never knew about this National Park. What a beautiful spot. Located it on my GPS and plan to go soon. Can’t wait to see it. Thanks for the information and pictures. I never knew about North Nest Key in Florida. It’s gorgeous there, feels like Caribbean already! I’ve never been to The Keys and didn’t realize how beautiful they are.. definitely going on my bucket list of places to see. @Conrad y Terri, hope you both enjoyed a chance to visit the National Park this season. I plan to make it again next year. @sarah, yes, it is quite a beautiful place. it essentially is the caribbean.